A 5-year-old is brought to his pediatrician’s office by his parents because he cannot keep up with his friends while playing outside because he is short of breath. His parents report that they notice him occasionally coughing at night but he is otherwise healthy. On physical exam, respiratory rate is within normal limits and slight end expiratory wheezing is appreciated diffusely. (M2.PL.4799) A six-year-old boy with a history of asthma currently uses an albuterol inhaler as needed to manage his asthma symptoms. His mother brings him into your office because she feels she has had to increase the patient’s use of his inhaler to four times per week for the past month. She also reports that he has woken up three times during the night from his symptoms this month. The boy reports that he is upset because he can’t always keep up with his friends in the playground. His past medical history is significant for allergic rhinitis. The patient’s temperature is 98°F (36.6°C), blood pressure is 110/70 mmHg, pulse is 88/min, and respirations are 18/min with an oxygen saturation of 98% O2 on room air. Auscultation of his lungs reveals bilateral late expiratory wheezes. (M2.PL.4799) A 55-year-old female patient comes to your office complaining of white spots on her tongue. She reports that she first noticed them about one week ago. She denies pain or difficulty swallowing. Her past medical history is significant for asthma, hepatitis C, and heroin abuse. She had previously been homeless and only recently went to the doctor one month ago for the first time in over five years. At that time, her primary care physician prescribed sofosbuvir, an albuterol inhaler, and daily inhaled fluticasone, which she has been using as directed. She is sexually active with one male partner. Her last HIV test was negative, and she does not have a history of sexually transmitted diseases. She denies current alcohol or intravenous drug use. She smokes a pack a day of cigarettes and reports she has been smoking since she was 16. On physical examination, you note lesions on her oral mucosa that are easily scraped off, as shown in Figure A. Which of the following is the best treatment for this patient’s most likely diagnosis? 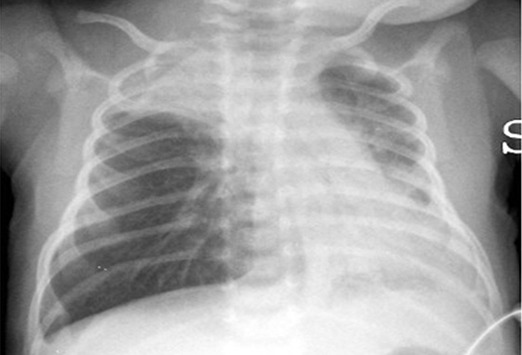 (M2.PL.4799) A 26-year-old male comes into your clinic complaining of worsening asthma symptoms. He reports that when he was first diagnosed with asthma, he experienced shortness of breath and chest tightness around twice a month. Then last month he began to get short of breath three times a week. He uses his albuterol inhaler during these episodes with temporary improvement of his symptoms. He denies nighttime awakenings due to his symptoms, but he does complain that his symptoms are interfering with his marathon training. His past medical history is significant for type I diabetes. His current medications include insulin and his albuterol inhaler. When asked about over-the-counter medications, he reports that he takes a multivitamin and aspirin, which he has been using for muscle soreness associated with his increased training schedule. A review of systems is also notable for headaches, nasal congestion, rhinorrhea and anosmia. The patient’s temperature is 99°F (37.2°C), blood pressure is 120/78 mmHg, pulse is 84/min, and respirations are 14/min with an oxygen saturation of 98% O2 on room air. 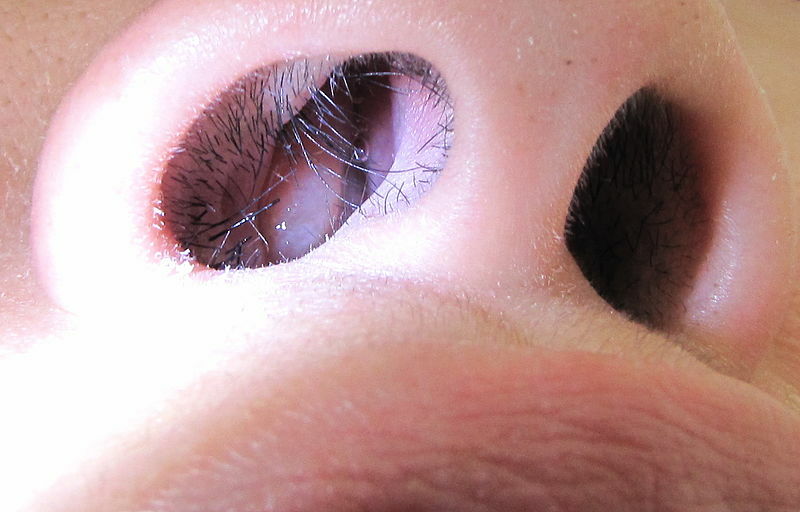 On physical exam, you note bilateral expiratory wheezing and lesions within the nasal cavity, shown in Figure A.